Understand what a multidomestic strategy involves and be able to offer an example. 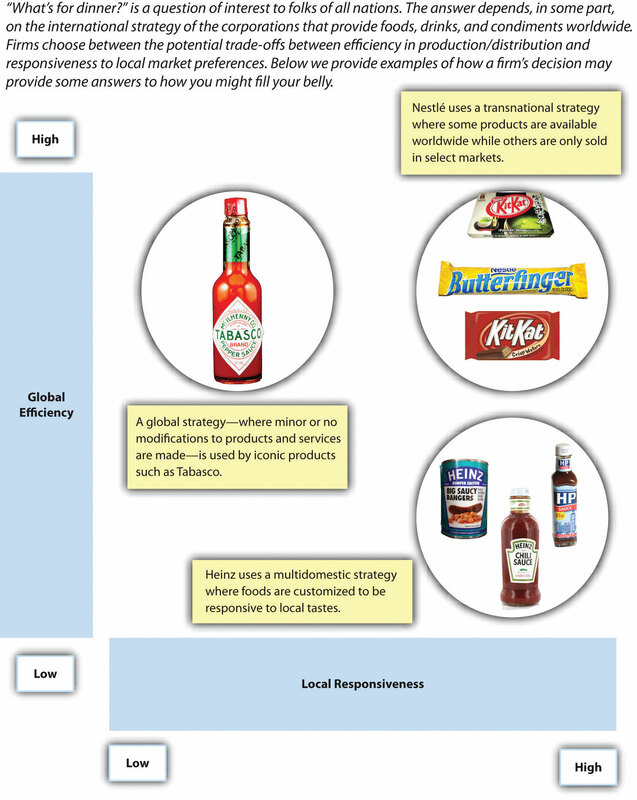 Understand what a global strategy involves and be able to offer an example. Understand what a transnational strategy involves and be able to offer an example. A firm that has operations in more than one country is known as a multinational corporation (MNC). The largest MNCs are major players within the international arena. Walmart’s annual worldwide sales, for example, are larger than the dollar value of the entire economies of Austria, Norway, and Saudi Arabia. Although Walmart tends to be viewed as an American retailer, the firm earns more than one-quarter of its revenues outside the United States. Walmart owns significant numbers of stores, as of mid-2014, in Mexico (2,207), Brazil (556), Japan (437), the United Kingdom (577), Canada (390), Chile (386), Argentina (105), and China (400). Walmart also participates in joint ventures in China (328 stores) and India (5). Even more modestly sized MNCs are still very powerful. If Kia were a country, its current sales level of approximately $42 billion (in 2012) would place it in the top 75 among the more than 180 nations in the world (Wal-Mart Stores Inc., 2014). Multinationals such as Kia and Walmart have chosen an international strategy to guide their efforts across various countries. There are three main international strategies available: (1) multidomestic, (2) global, and (3) transnational (Figure 7.23 “International Strategy”). Each strategy involves a different approach to trying to build efficiency across nations while remaining responsive to variations in customer preferences and market conditions. A firm using a multidomestic strategy sacrifices efficiency in favor of emphasizing responsiveness to local requirements within each of its markets. Rather than trying to force all of its American-made shows on viewers around the globe, MTV customizes the programming that is shown on its channels within dozens of countries, including New Zealand, Portugal, Pakistan, and India. Similarly, food company H. J. Heinz adapts its products to match local preferences. Because some Indians will not eat garlic and onion, for example, Heinz offers them a version of its signature ketchup that does not include these two ingredients. 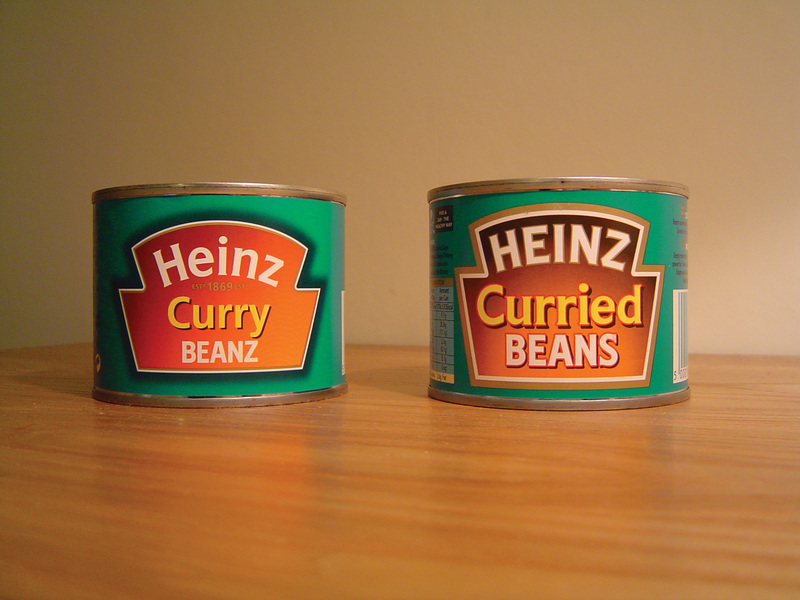 Figure 7.24: Baked beans flavored with curry? This H. J. Heinz product is very popular in the United Kingdom. A firm using a global strategy sacrifices responsiveness to local requirements within each of its markets in favor of emphasizing efficiency. This strategy is the complete opposite of a multidomestic strategy. Some minor modifications to products and services may be made in various markets, but a global strategy stresses the need to gain economies of scale by offering essentially the same products or services in each market. Microsoft, for example, offers the same software programs around the world but adjusts the programs to match local languages. Similarly, consumer goods maker Procter & Gamble attempts to gain efficiency by creating global brands whenever possible. Global strategies also can be very effective for firms whose product or service is largely hidden from the customer’s view, such as silicon chip maker Intel. For such firms, variance in local preferences is not very important. A firm using a transnational strategy seeks a middle ground between a multidomestic strategy and a global strategy. Such a firm tries to balance the desire for efficiency with the need to adjust to local preferences within various countries. For example, large fast-food chains such as McDonald’s and KFC rely on the same brand names and the same core menu items around the world. These firms make some concessions to local tastes too. In France, for example, wine can be purchased at McDonald’s. This approach makes sense for McDonald’s because wine is a central element of French diets. Multinational corporations choose from among three basic international strategies: (1) multidomestic, (2) global, and (3) transnational. These strategies vary in their emphasis on achieving efficiency around the world and responding to local needs. Which of the three international strategies is Kia using? Is this the best strategy for Kia to be using? Identify examples of companies using each of the three international strategies other than those described above. Which company do you think is best positioned to compete in international markets? Types of International Strategies by Janice Edwards is licensed under a Creative Commons Attribution-NonCommercial-ShareAlike 4.0 International License, except where otherwise noted.